Jamie's created methodical, clever, sociable, fun recipes full of big flavours that take the concept of fast, everyday food to a new level. He's taken inspiration from all over the world, embracing tastes that we all love and playing on classic chicken, steak, pasta and global street food dishes. You'll be amazed what you can create in just 15 minutes, from tender Chicken Dim Sum with Coconut Buns and tangy Cucumber Pickle to Crab Bolognese with crunchy Fennel Salad. Whether you're cooking for your family or grabbing a quick bite, Jamie's 15 Minute Meals has the perfect combination of light snacks and hearty meals to satisfy everyone. 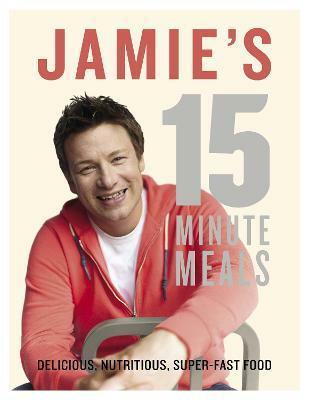 These are some of the quickest, easiest meals Jamie's ever done, all triple tested to ensure that this book is a reliable companion for you and your family.